This is a sponsored conversation written by me on behalf of The J.M. Smucker Company. The opinions and text are all mine. Comments submitted may be displayed on other websites owned by the sponsoring brand. 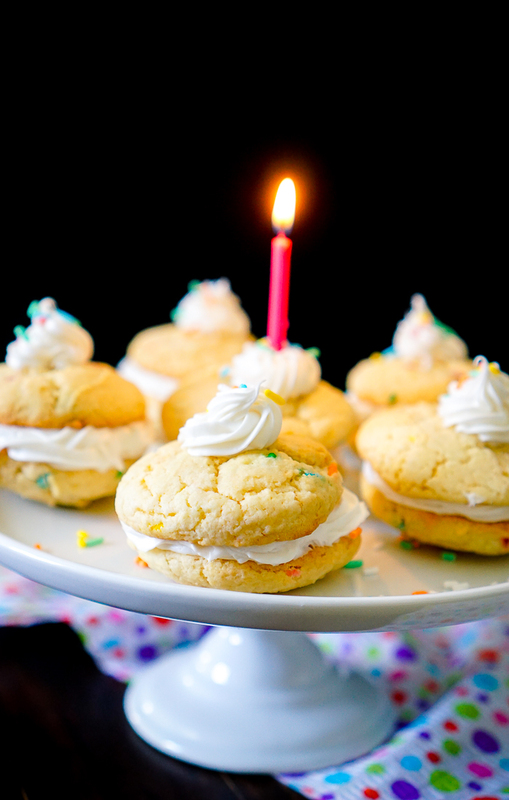 Easy Birthday Funfetti Cookies made with only 4 ingredients (including the frosting)! Hi, Nerds! 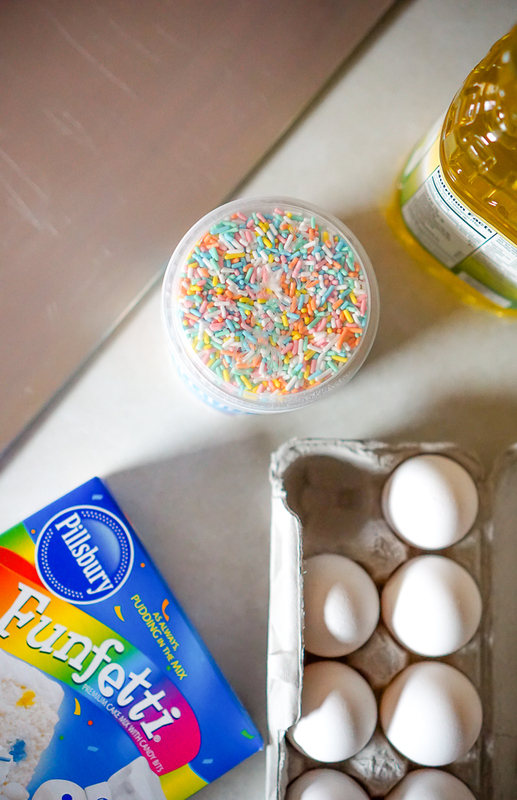 It continues to be a very busy time over here, but I still wanted to stop in on Bryan’s birthday with a yummy treat I think you will love – Birthday Funfetti Cookies! 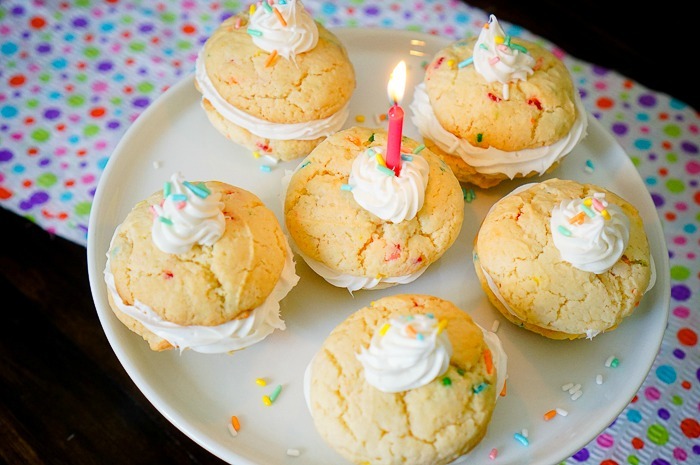 The best part of these cookies, in my opinion, is how easy they are to make. This is definitely a kid friendly recipe! There has been a lot going on lately with my family, so I thought it would be fun to spend an afternoon baking with my niece B after school. At first she was hesitant because she still struggles to help with a lot of cooking or baking tasks. She didn’t want to just stand there and watch me bake. I assured her this was something she could do from start to finish by herself (except working with the oven of course – after she put the cookies on the cookie sheet, I took over the baking process). Finding time to bake with the kids is always fun for me! It was something I loved doing with my mom growing up because it was special one-on-one time. Plus, I now run a blog with lots of recipes, so I think it’s clear that cooking and baking time with mom made a huge impact. Kids and adults alike all need that time to disconnect from technology and laugh and chat with family. I will definitely be relying on these 3-ingredient cake mix cookies in the future because they are so easy. 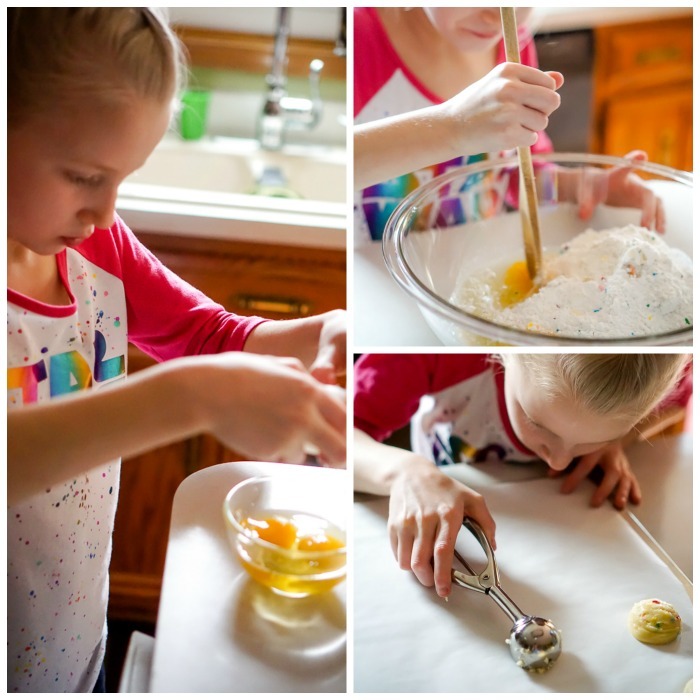 If you are baking with a child, here are my suggestions. Let them try as much of the process as they can (minus the oven, of course). You never know what they can do until you let them try. Prepare for the worst though if you can. In this case, I had B crack the eggs into a separate bowl. She felt better about trying to crack when and no one had to go digging in the cake mix for shells. Use a cookie scoop. This was an idea that popped into my head as B was stirring up the cookies. I showed her how to use the scoop and that I wanted enough dough to just fill the scoop (she could scrape the scoop before putting on the pan). It was easy enough for her, and she loved doing it! Okay – now to the recipe! Put cookie scoop sized scoops onto cookie sheet about 1 inch apart. Cook for 10 minutes or until the edges start to brown. 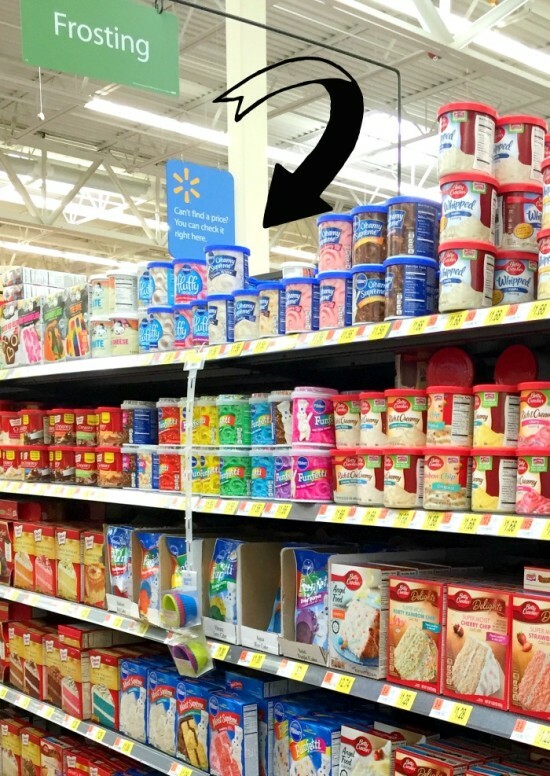 I stocked up on Pillsbury Cake Mixes and Frosting when I was last in Walmart, and you know you want to, too! Having extra in the pantry makes it easy when we have last minute guests or when we want to celebrate something fun! The Fluff Frost is definitely my favorite icing. If you haven’t tried it yet, make sure that is on your shopping list. I even have a COUPON for you so you can save while baking. There are so many awesome flavors and you could use this 3-Ingredient Cookie Recipe with any of the cake mixes! 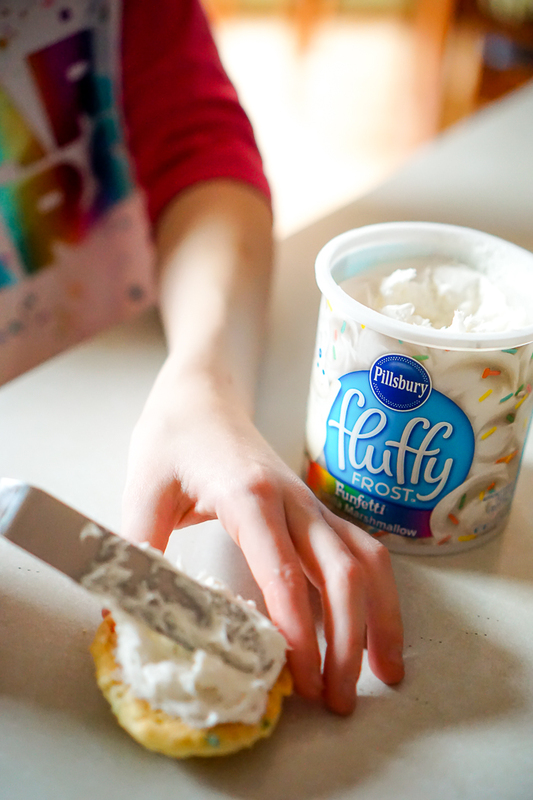 Plus, I will be baking with Pillsbury again soon, so make sure you stop back by in a couple weeks for a fun Spring Cupcake recipe! 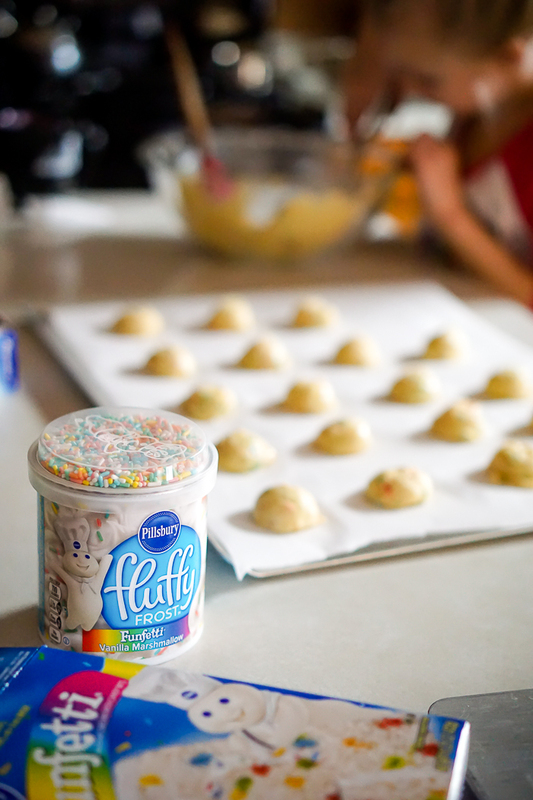 In the meantime though, head over to see other ideas for how to Mix Up a Moment with Pillsbury!